The snow makes everything look very nice and christmasy. 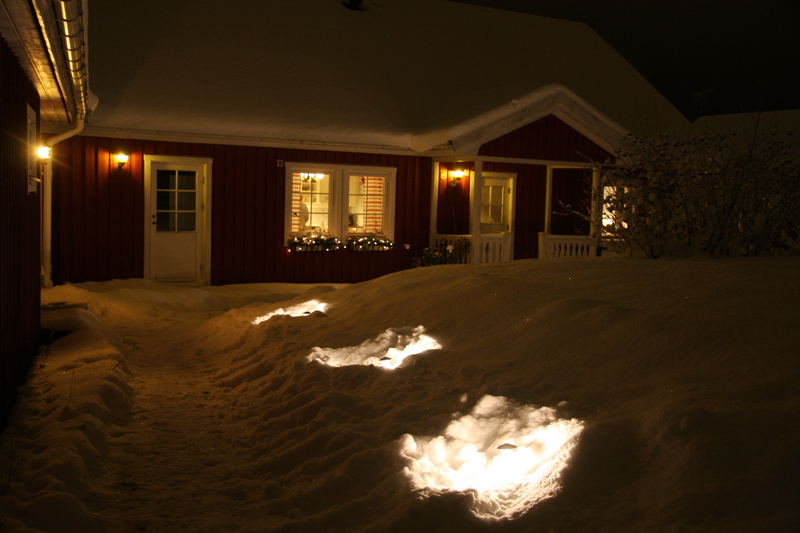 The house looks like tis covered in icing and the garden lights are hiding in a good half meter of the white powder. A relief is the cold weather that makes the snow light and easy to clear. Still it would be easier if someone else took care of it but he don’t work here no more. The quiet feeling when everything is white out and the light evenings and nights are some true benefits from the snow.